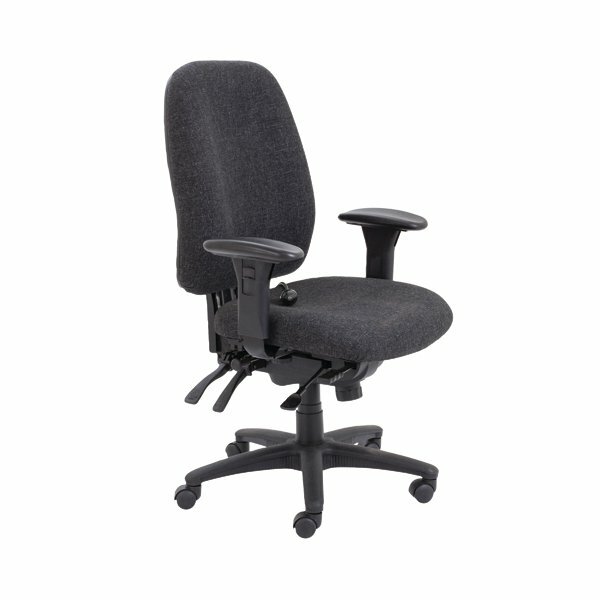 This strong and sturdy Avior chair is ideal for heavy duty 24 hour use in busy, multi-shift environments. The chair features a high back with lumbar support and extra padding in the seat for long lasting use. The five star base mounted on castors enables you to move around freely and the seat height and back tilt can be easily adjusted. These chairs are ideal for use in call centres, control rooms and other multi-shift workplaces. This pack contains 1 charcoal chair with a ratchet back and seat slide.